A candidate who was unsuccessful in his bid to become a member of House of Representatives is promising to stage a one man protest if Government does not remove the clause in the Electronic Crime Bill which provides for people to be charged with a criminal offence for sending offensive messages electronically. 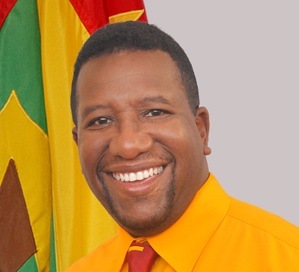 Randal Robinson, who was a candidate for the National Democratic Congress said that he is prepared to protest the passage of the bill in its present state. “Any attempts to limit free speech in Grenada by any Government will be met with resistance from me. I fully understand and appreciate that freedom of speech must be exercised responsibly and ought not to trample on the rights of others,” said Robinson who since learning about the legislation has used Facebook to openly express his uneasiness about the provision in the Bill which was approved by the House of Representatives last Friday. “I appreciate that we are human and that we may go overboard from time to time and that we ought to be chastened for it, but speech, offensive or otherwise ought not to be criminalized. We already have a remedy in the Civil Courts that adequately compensates offended parties where they sue and win,” he adds. “A person should not be called or be labelled as a criminal for sending an offensive message, and who determines what is an offensive message,” Robinson said who claimed that he would have resigned from Government if the administration he supports was to approved such a legislation. A person found guilty of sending an offensive message will be charged a maximum of EC$100,000 or face three years imprisonment.